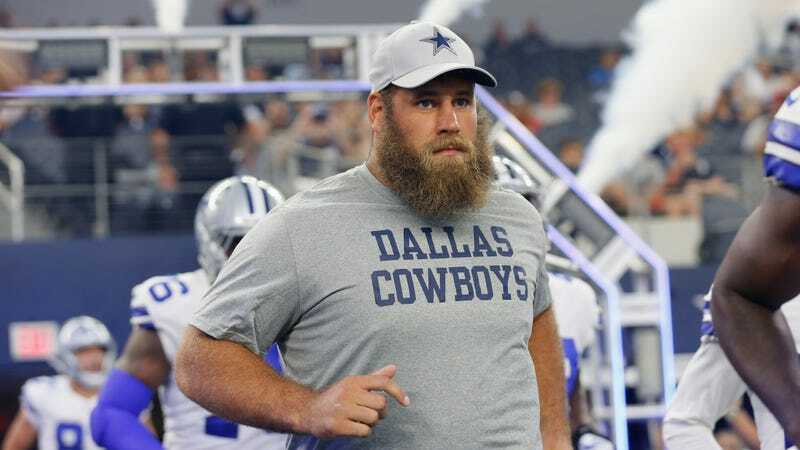 Dallas Cowboys starting center Travis Frederick, who’s been with the team since he was drafted in 2013, was battling nerve irritation ahead of this season, putting his availability in doubt. In a statement posted Wednesday on Twitter, Frederick clarified the details of his situation, revealing a diagnosis that will keep him out of the NFL for the foreseeable future. Frederick announced that he has been diagnosed with Guillain-Barre syndrome, a rare and incurable* auto-immune disease in which the body’s immune system attacks part of the nervous system. As noted in the statement, the time table for his return to football is currently unknown. Frederick has played all 16 games in all five of his seasons with Dallas, and he earned All-Pro honors in 2016. *Clarification (9:19 p.m.): While Guillain-Barre syndrome is incurable, it should also be noted that a majority of people will make a full recovery after its onset.